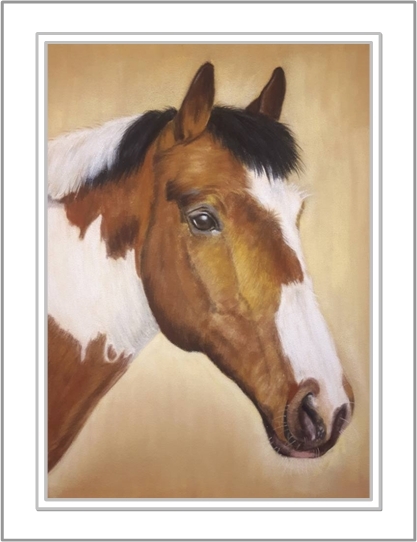 A horse has a nobility and power combined with grace and character and I get very excited to do horse portrait paintings – they are magnificent creatures! 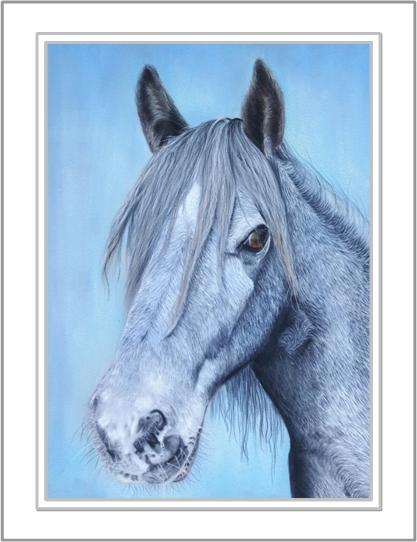 It is a special honour for me to paint a horse portrait. 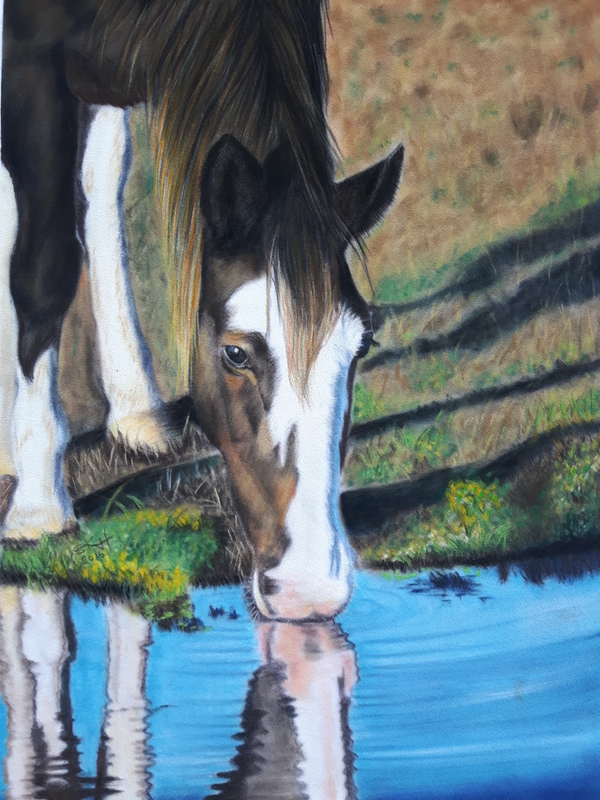 I am fortunate to live on the doorstep of the New Forest in Hampshire where I can admire the beautiful horses and ponies daily. 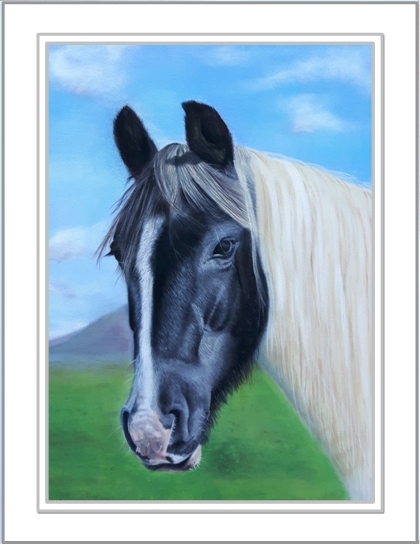 To fully capture the size and majestic qualities of your horse, the minimum size for a head portrait would be 10 x 12 inches. I have tried smaller sizes but they really do not work. 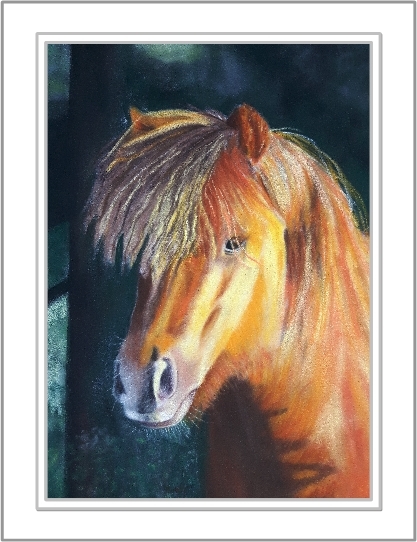 The best size for a head portrait is 12x16. 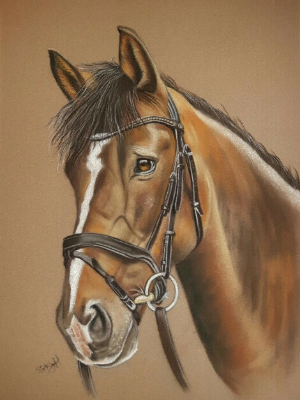 Recently I went to photograph a horse called Harley which would be a gift for a dear friend. I had a good chat with Harley’s owner about what kind of portrait she wanted which was really helpful on the day because she knew exactly how to pose Harley for me to get the portrait she wanted. If you do not have a good quality photo, I am able to take a photo for you with my professional camera for a small extra charge if you are within 30 miles of Southampton. 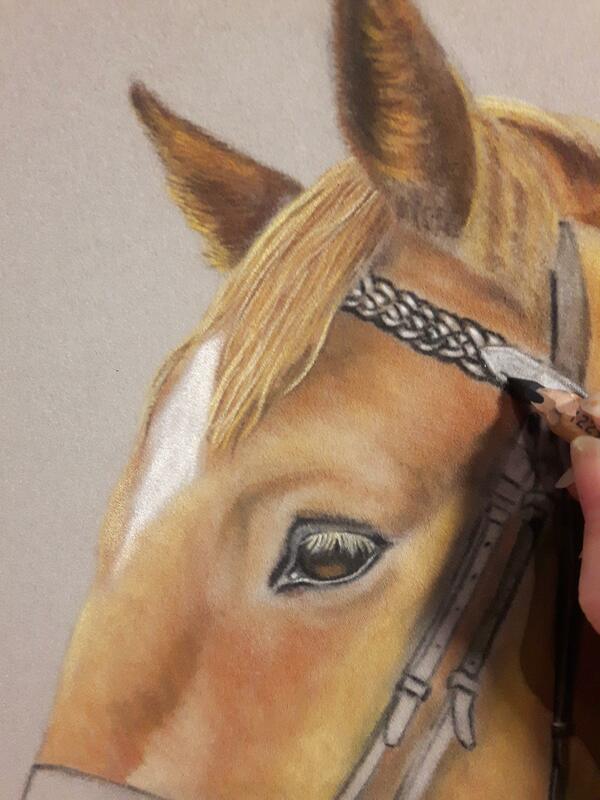 Learn how to commission a horse portrait and read my photography tips on getting a good photo if you don’t already have one.